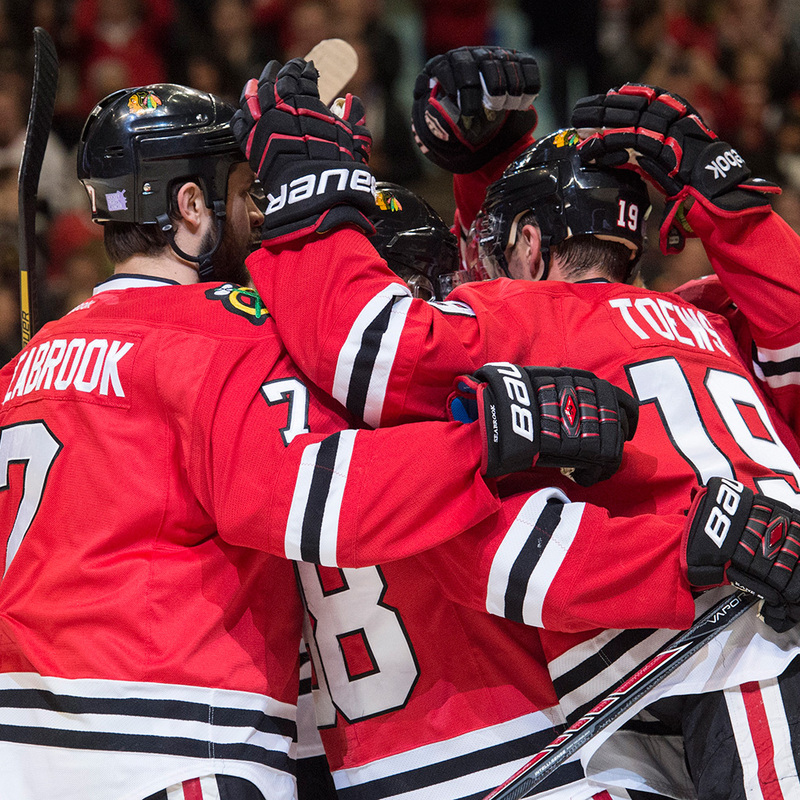 In case you missed it yesterday, it took a pretty remarkable third period comeback for the Chicago Blackhawks to pull out the win in Game 1 of the Stanley Cup Finals. But even the most exciting hockey game is not as remarkable as what one Chicago-area chocolate shop constructed to celebrate their team’s amazing playoff run. The All-Chocolate Kitchen in Geneva, Illinois, created a life-sized Blackhawks player out of 650 pounds of chocolate. Sounds like maybe this hockey player should have considered playing football…or going on a diet. Chef Alain Roby isn’t new to trying outrageous stunts with sweets. He holds three Guinness World Records: tallest chocolate building (20 feet, 8 inches), tallest cooked sugar building (12 feet, 10 inches) and the world's longest candy cane (51 feet, made of 900 pounds of sugar). The chocolate Blackhawk isn’t intended to be any player in particular. Instead, Roby opted for a generic player in Chicago’s uniform intended to be the Blackhawks’ “sweetest” good luck charm, according to a restaurant spokesperson —though the end result kind of looks like a player plucked out of an older edition of Electronic Arts’s NHL franchise. I guess it’s hard to turn around a 650-pound chocolate person on such short notice.